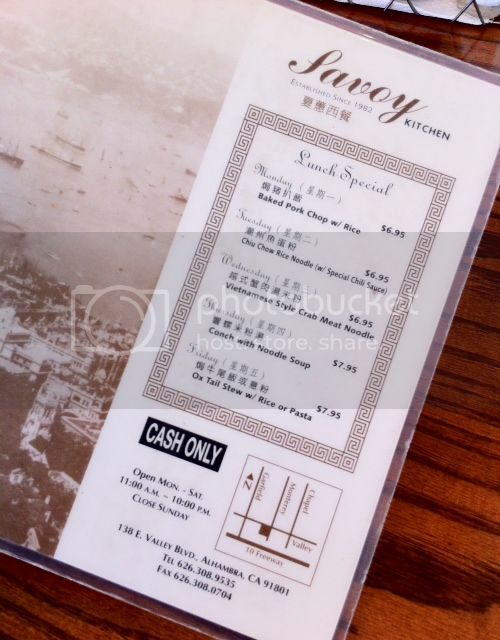 I'm not sure about other areas, but here in Southern California, when people crave for Hainan chicken rice, pretty much 50% of the Asians will recommend this place - Savoy Kitchen. The other 50% of the Asian population probably never heard about Savoy's existence or have never tried such a dish. Not so sure about how this place got famous for its chicken rice in the first place. 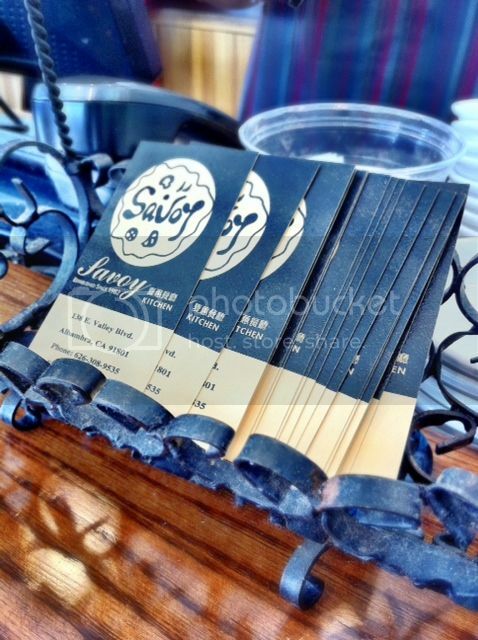 After all, Savoy is in fact older than me and its business has been prospered since 1982. Hainan chicken rice is not the only thing available in the restaurant. 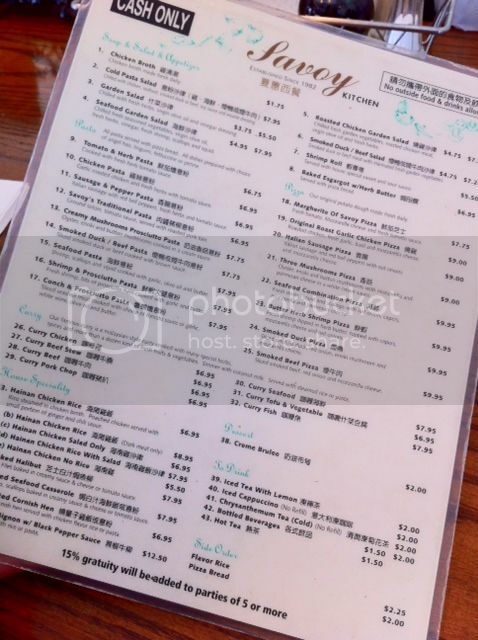 It's more like a Hong Kong cafe, where you can find other varieties such as curry stew, casserole, pasta, or even pizza. 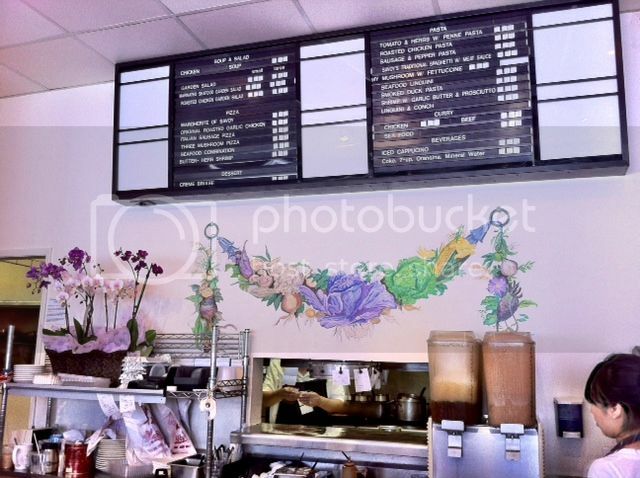 However, you'll notice that at least 80% of the customers have their own plate of chicken rice when walking into Savoy. 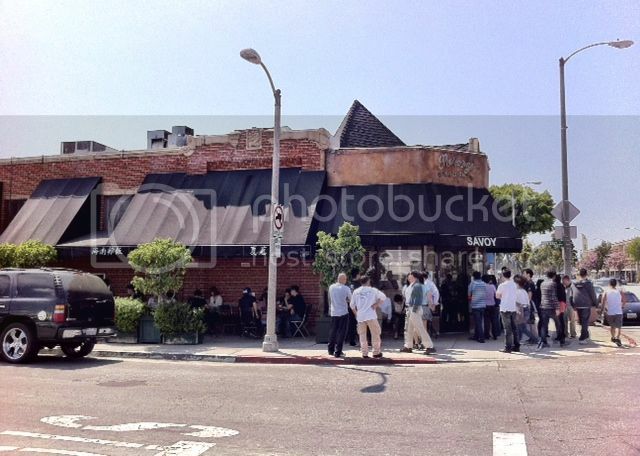 The restaurant itself is pretty small. After an average 30 to 40 minutes wait, I've always got the outdoor table except my last visit. The indoor seats, especially the counter area with bar stools are actually quite nice. The reason is that the waiters and waitresses are right in front of you. 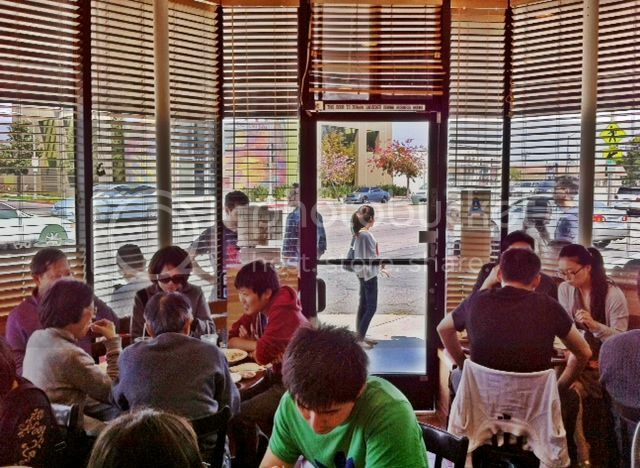 Not only you can sneak peek into the kitchen, but you can also get first hand service instantly. Remember, this place is always packed with people and things like asking for sauce refill or check can be quite a task sometimes. Usually it comes mixed with both dark and white meat. However, customers can request for particular type if desired. A true Asian will definitely go for all dark meat, which has more flavor and juicier compared to part like chicken breast. The rice itself was cooked with all the essence from the chicken, that's why people love this stuff. 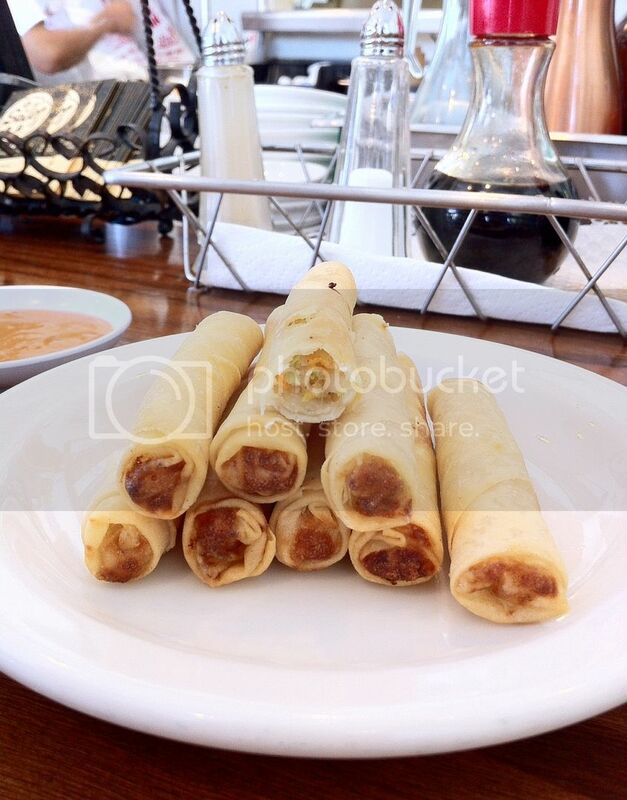 To enhance the taste, grated ginger, sweet soy sauce, and chili sauce can be used as condiments. Some regulars here also often order baked escargot with herb butter as one of the appetizers ($4.95). 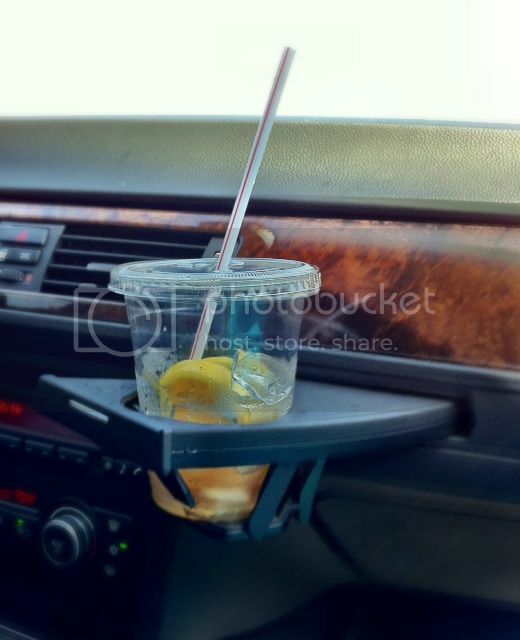 This picture was taken after we left the restaurant and apparently I wasn't fast enough to snap a shot while the cup's still full. The waitress in charge of the counter area was very nice and offered to refill the cup before I left the place. 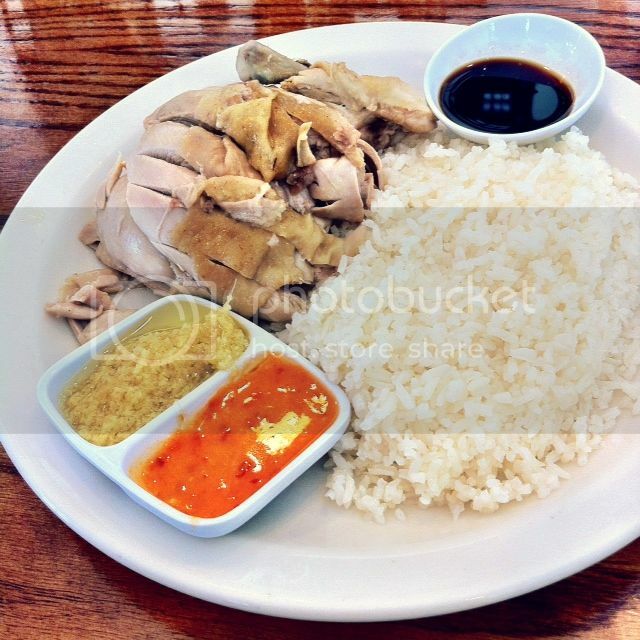 I've got the chance to try the real authentic Hainan chicken rice when visiting Singapore. During the trip, I've tried at least 3 famous Hainan chicken joints. Frankly speaking, Savoy Kitchen is not that far away from these original restaurants besides the one in Maxwell Food Center called Tian Tian. If you ever followed Anthony Bourdain's show, Tian Tian is the one he visited and praised about how juicy chicken is along with rice packed with aromatic flavors. 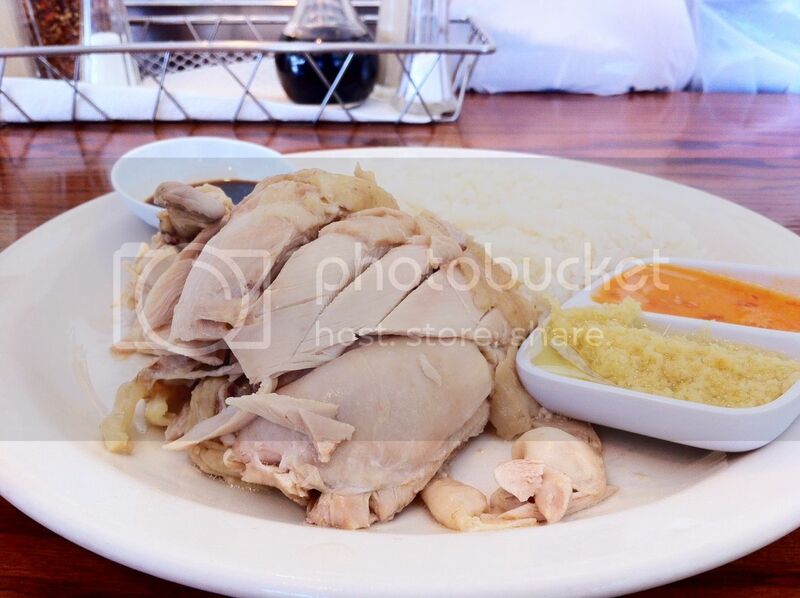 If you ever crave for Hainan chicken rice and happened to be in southern California, come to Savoy. Open Monday - Saturday 11:00 a.m. - 10:00 p.m.